Product prices and availability are accurate as of 2019-04-19 15:35:17 BST and are subject to change. Any price and availability information displayed on http://www.amazon.com/ at the time of purchase will apply to the purchase of this product. 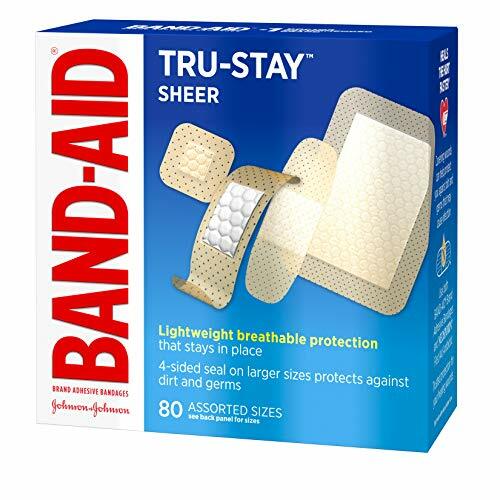 Band-Aid Brand Tru-Stay Sheer Strips Adhesive Bandages offer comfortable, sheer protection of minor cuts and scrapes. 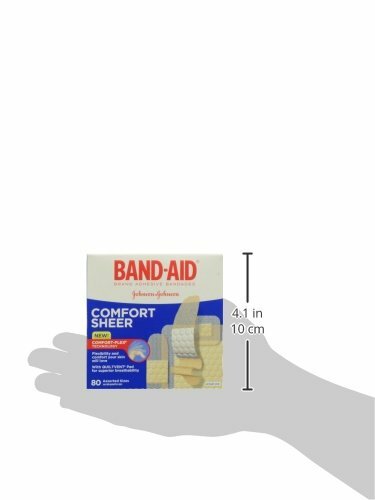 These Band-Aid Brand Adhesive Bandages provide lightweight, breathable protection. 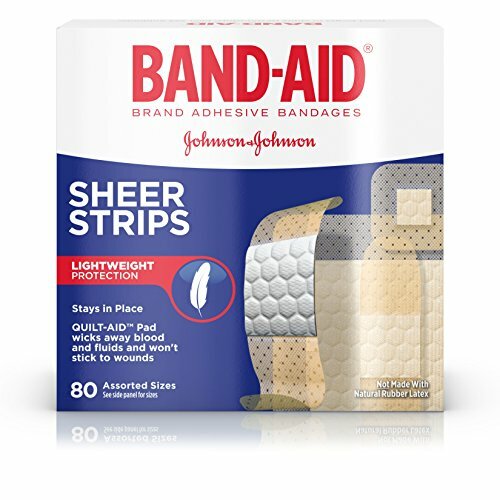 The Microvent backing of these sheer bandages, along with the air channels on the Quilt-Aid pad, provide superior breathability. 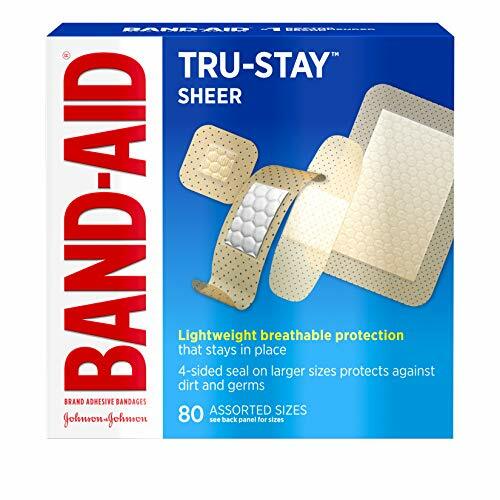 These Band-Aid Brand Tru-Stay Sheer Strips Adhesive Bandages are also made with a unique Quilt-Aid Comfort Pad that is designed to cushion painful wounds while you heal. The Hurt-Free pad won't stick to the wound, allowing for gentle removal. This package includes 80 sheer bandages in assorted sizes.